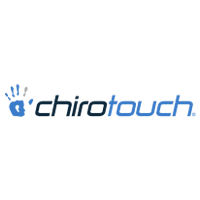 eClinicalWorks is an electronic health records (EHR) provider and practice management (PM) solution for medical professionals. 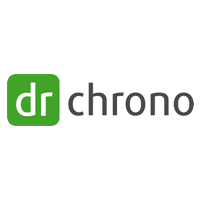 It features appointment management, charting, e-prescribing, E/M coding, reporting, and a patient portal. In this article, we cover user reviews and pricing. Ready to try eClinicalWorks? Request for a demo. Users who gave eClinicalWorks a positive review said that the system is easy to navigate and is customizable. Many also liked its accessibility because of its cloud technology. Some also commended the efficiency of its clinical documentation process. One user who gave eClinicalWorks a positive review on G2 Crowd said that the program is intuitive and offers a lot of customization options. He also mentioned that it has many useful functions such as claim submission tracking, appointment scheduling, and patient progress note sharing. Users who gave eClinicalWorks a critical review complained about system crashes and bugs. Some said that the customer support team is unreliable, citing failure to immediately provide solutions to technical difficulties. Some also wished for better reporting and analytics functionalities. 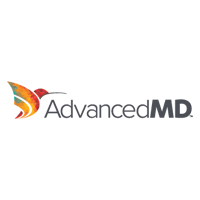 One user who gave eClinicalWorks a critical review on Capterra said that the online support team is slow to respond even when the ticket submitted is marked as high priority. He reported that since the company’s phone support is not US-based, language barrier is often an issue. He also mentioned that the program is a bit expensive compared to similar providers. eClinicaWorks offers three pricing plans. Their EHR system costs $449/month/provider. The EHR with practice management solution costs $599/month/provider. For their Revenue Cycle Management service, the company takes a 2.9% share of the practice collections. Initial on-site training included for practices with 1-9 providers. Additional fees apply for practices with more than nine providers. Ready to get started with eClinicalWorks? Request for a demo. Yes, eClinicalWorks is HIPAA-compliant. All data being sent to and downloaded from eClinicalWorks’ servers are protected with the highest industry-standard encryption. 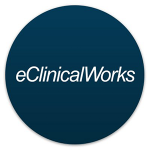 What are the technical requirements to use eClinicalWorks? Supported operating systems are Windows 7 Pro, Enterprise, or Ultimate (32/64-Bit) Windows 8 and 8.1 Pro and Enterprise (32/64-bit) Windows 10 Pro or Enterprise (32/64-Bit). Not sure if eClinicalWorks is the right fit for you? Read our reviews of all top EMR software providers or check out one of these three eClinicalWorks alternatives. eClinicalWorks offers a lot of innovative products, all of which are integrated into one system. They also have a compelling low cost cloud hosted solution which makes their system easy to “drop in” and get started. From a usability standpoint, this is a very useful product. The company is fairly rigid on its workflows – you will be expected to follow a specific workflow to get certain tasks done, and often times you are not given a clear solution if you have an expectation on how to accomplish a task that goes “outside the box”. Also, frequently there may be changes made to the software, or a component of the software that make them significantly less useful for the practice, which you can wait a year or longer to have a fix. One such instance is while there is a patient portal, the ability to restrict what content goes to the portal (appointment types in particular) is still not available, 3+ years later. The company in general is no different than any other EMR vendor we’ve worked with. There are upsides and downsides. Some have stated the concerns about the investigations eCW has been under by CMS and others, but then again today Allscripts admitted to having been hit hard by Ransomware and will be down for nearly a week. eCW is able to deliver what we need in a timely fashion, and at the end of the day that’s what really matters.